A dental implant replaces a missing tooth root which helps preserve the integrity of facial structures and preserves the structure of neighboring teeth. A dental implant involves placing a titanium implant "root" into the bone of the jaw. The success rates for dental implants are extremely high due in part that a root-form dental implant is made of a biocompatible material, titanium. A dental implant titanium root bonds with your jaw bone essentially replacing the body's natural tooth root. Once a dental implant has infused with the jaw bone it can be used to support a crown, bridge or denture. Dental implants are an excellent option to replace partial dentures and are also an excellent foundation to support full arch dentures. A dental implant looks and feels like a natural tooth and has a higher success rate than all other forms of tooth replacement. The initial cost for a dental implant may be slightly higher than old traditional forms of tooth replacement, but the long term benefits easily outweigh the difference in additional cost. What makes Dental Implants the best tooth replacement option? Will my implant teeth look and feel like my natural teeth? Is a person's age a factor for Dental Implant treatment? How long will the implant treatment take? What does Dental Implant Treatment cost? A crown and bridge has been the most common single lost tooth replacement procedure. A crown and bridge affects three teeth; the center lost tooth and each healthy neighboring teeth. Neighboring teeth need to be cut down and reshaped to accept a crown (cap) which will anchor the bridge. A bridge is formed by attaching (cementing) a false tooth to a crown located on each side of the false tooth. The crowns are cemented into place on the reshaped healthy teeth with the false tooth replacing the gap of the lost tooth. Partial dentures replace multiple missing teeth and full arch dentures replace all of the teeth. There are issues with bridges, partials and dentures. First, they will eventually fail and will need to be replaced several times during a lifetime. Second, missing tooth roots promotes jaw bone and soft tissue resorption (shrinking of the jaw and surrounding soft tissue). The loss of tooth roots will also cause a change of the smile and contours of the face over time. A dental implant replaces a missing tooth root and does not affect neighboring tooth structure. Dental implants prevent jaw bone resorption and preserves facial integrity. A natural tooth root is anchored into the jaw bone. A tooth crown is the top portion of the tooth. Gum tissue provides surrounding support of the root and the bottom of the crown. When a tooth is lost, the jaw bone will shrink in that immediate area causing the associated gum tissue to also shrink; this process is called jaw bone and gum tissue resorption. The resorption area caused by the loss of multiple teeth can cause your smile to look unnatural and in some cases, change your facial appearance. A dental implant replaces the natural tooth root and is placed into the jaw bone and is supported by the gum tissue. A tooth colored crown is placed on the top of the root to complete the restoration. Multiple single implants maybe placed into the jaw bone as a support for bridges or for a dental arch. Dental implant treatment is the only tooth replacement solution that prevents jaw bone resorption, A dental implant provides the feel and function of a natural tooth. The long term esthetics of dental implants are superior to any other treatment option. The candidate must be in good general health. Available jaw bone density is required for implant placement; although, for people who have lost a significant amount of bone can qualify for dental implant treatment with an additional bone grafting procedure. There are various medical conditions such as uncontrollable diabetes or cancerous soft tissue would be a cause for alarm. Overall, there are very few conditions that would keep someone from having implant treatment. No, age is not a qualifying factor for dental implant treatment, providing one's overall health is good. There is no age restriction. Denture users are top candidates for dental implants. Dental implants eliminate slipping dentures and messy denture adhesives. Dental implants provide a solid foundation for full arch dentures to clip onto, which provides for a solid bite and renewed chewing stability. Foods that were forbidden to those with dentures may once again become part of an enjoyable diet. The desire to improve one's quality of life is a bigger consideration than age. Some implant candidates may qualify for Immediate Load / Immediate Function procedures, also known as "same day implants". Traditional treatment under ideal conditions may only take from a few weeks to a few months. Implant placement in other than ideal conditions may require extended healing time. It all depends on the quality of the bone in which the implants are placed and the general health of the patient. If an additional bone graphing procedure is required in order to provide more bone density, the total treatment time may be between six to nine months. Patients are anesthetized during the procedure. Everyone's pain tolerance is different. Most patients are very comfortable simply taking over-the-counter analgesics afterward the procedure. Most dental implant patients report that the discomfort is far less than they expected and have compared their experience to be similar to a root canal procedure or like having a tooth extracted. Proper home care and regular check-up visits as determined by your dentist or dental specialist. Dental implants have been around for over 30 years and have closely documented clinical research which demonstrates that dental implants will be successful throughout the lifetime of a patient. Comparable clinical research for crown and bridge, partial and full arch denture demonstrates that the average tooth supported fixed bridge lasts from 7-10 years and that partials and dentures may be functional for about 5 years before having to be replaced. Generally, dental implant patients only require good home care and regularly scheduled hygiene appointments as directed by your dentist or specialist. Home care is a little more complicated for people who are missing all of their teeth, in that special brushes and floss are often recommended and scheduled hygiene appointments may be more frequent. Permanently fixed implant supported replacement teeth are cleaned like all other bridges. Following directions and keeping your scheduled appointments are essential to the long term success of implant treatment. Will my existing dentures work with new Dental Implant supports? In many case the answer is yes, by simply altering the existing dentures with the necessary denture attachments to fit the dental implants. Every patient's situation is different, so please see your doctor for a detailed explanation. What's the difference between a traditional crown and bridge and an implant supported crown and bridge? With a traditional crown and bridge, there is no replacement of the lost natural tooth root which will result in jaw bone and gum tissue resorption. A dental implant replaces the lost root with a titanium root which preserves the jaw bone and supportive gum tissue, and there is no resorption. With a traditional crown and bridge, healthy neighboring teeth must be ground down and shaped into pegs in order to accept a crown. With a dental implant, healthy neighboring teeth are not disturbed. Implants last a lifetime whereas a traditional fixed crown and bridge may last from seven to ten years before it may need to be replaced. Although dental implants have become the standard of care, they are more expensive than old tooth replacement methods. Most dentists today detest the idea of grinding down perfectly healthy teeth to place a traditional bridge and therefore, will almost always recommend dental implant treatment when appropriate. Severely fractured teeth are ideal candidates to be extracted and replaced with dental implants. Tooth trauma caused by an accident or sports injury may require extraction and immediate replacement with a dental implant. The type of implant required. If an additional procedure is required before an implant may be placed. The only way to accurately estimate the cost for an individual patient is to have an examination and consultation with your dental specialist. The initial cost is generally slightly more expensive compared to old traditional methods of tooth replacement; however, long-term implant treatment is certainly more cost effective than any other option, such as bridges, partials and dentures as they need to be replaced every 5-10 years. Dental insurance coverage of implant treatment depends on your individual policy. Dental benefits are determined by the amount an employer is willing to spend on the policy. Generally, dental policies cover basic routine preventive maintenance, basic care and emergencies. Most insurance plans only cover the basics with an annual maximum allowable benefit of $1,000-$1,500. 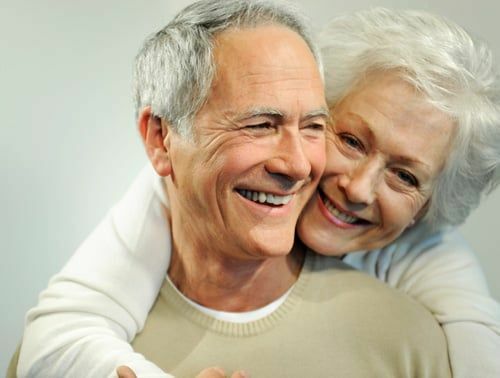 Most insurance plans do not include dental implant coverage; however, often they will pay the same benefit they would cover for the lowest cost alternative treatment option (partials and dentures) and some of the diagnostic records, if a specific request is made for alternative benefits. You should review both your dental insurance plan and your medical insurance plan. Medical coverage is very rare and Medicare does not cover implant treatment. All in all, it is best to assume that there is no medical insurance coverage available. May be used to secure loose dentures. A single tooth implant procedure may be done if a tooth has been extracted or is missing. A titanium implant base is placed into the jawbone to resemble the tooth root. We allow a period of time to allow for the jawbone to heal over the implant base before fitting for a crown.